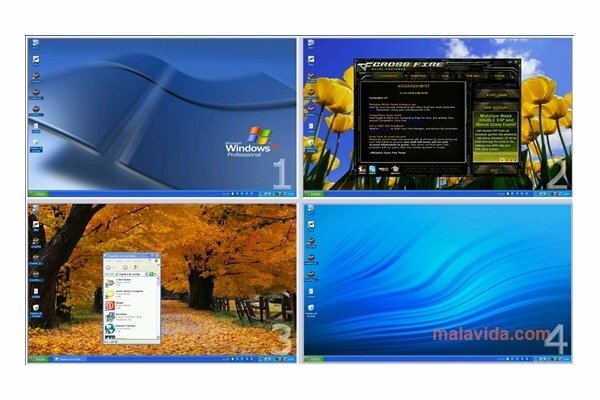 Virtual Desktop Manager, also known as MSVDM, is a useful tool with which it is possible to handle up to four virtual desktops, with the advantages that this has. This PowerToy by Microsoft integrates perfectly into the Windows taskbar. 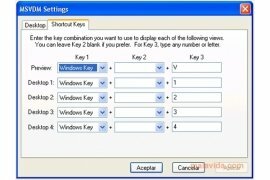 It's one of the utilities of Windows that most help users to improve their productivity, because without any need to have various monitors, it allows you to organize your work on several screens, that can easily be accessed, that you will be able to change between according to your needs. 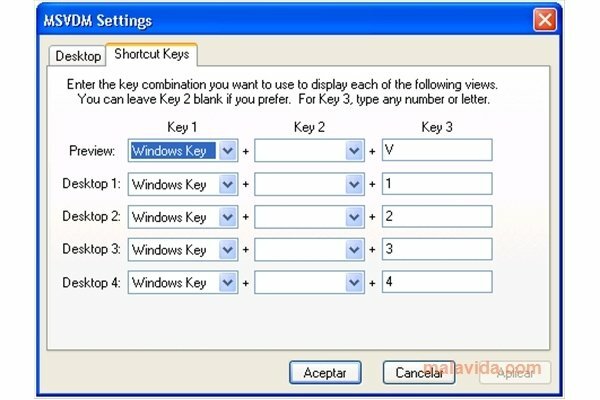 Once you have installed Virtual Desktop Manager, you will have to activate the program's toolbar from the Windows taskbar. From that moment onwards, you will have a taskbar with four icons from which you access each of the virtual desktops very quickly. A fifth icon previews the contents of the four desktops simultaneously. Improve your organization and increase your productivity with Virtual Desktop Manager.